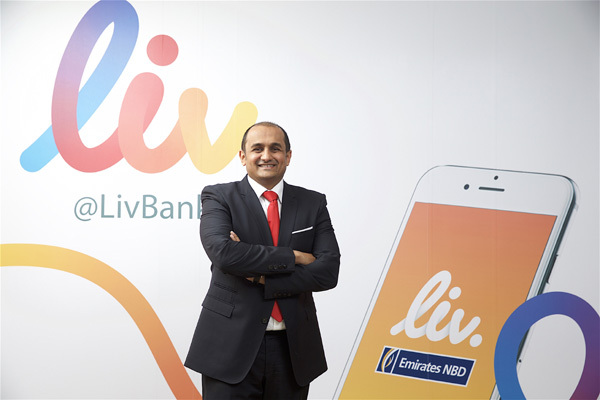 Liv., the lifestyle digital bank by Emirates NBD, today announced two new features within its mobile app, allowing customers to instantly split bills with friends and family, and tag their expenses according to personalised categories. A year since beginning operations, Liv. is building a portfolio of services that cater to the specific needs of its millennial customer base, offering them 24x7 digital convenience as well as providing them the tools to lead a financially-healthy lifestyle. ‘Bill Split’ allows customers to instantly pay for a bill on their Liv. debit card and send money request notifications via social channels (including Whatsapp and Facebook) to friends and family. The service makes it easier and quicker for large groups of people to split dinner, cinema and other bills while going out, and allows the payer to keep clear track of who has repaid them. The second new feature, ‘My Tag’ is an expense management tool which helps users understand where they spend most of their money and thus, budget better. Liv. offers customers insights in a simple, intuitive format, for example, tracking how much they spend on coffee every month or how often they order take-away from Zomato, so they can plan future expenses. In addition to the 10 predefined categories such as dining, entertainment, shopping etc., the feature empowers customers to personalise expenditure tags. For example, a user can create a tag titled ‘My Best Friend’s Wedding’ and tag all the money that they spend on their friend’s wedding under this category. “Financial literacy has been a key focus for the bank in the past few years, and we are working towards incorporating healthy financial habits for our customers within all our products and services. Liv.’s My Tag features is very much part of that business model and lets millennials keep track of their spending in the manner which they find the most convenient: tagging,” added Jayash Patel, head of Liv.